As I sat and watched Fox News’ Bill O’Reilly talk about his invitation to the White House and how he was almost beaming about planting the seed of making the POTUS confront the 72% out of wedlock birthrate amongst blacks, I could only think of the Hamburg agreement of 1938 in pre-WWII Germany. Many of us have seen the video of Neville Chamberlain proclaiming that the piece of paper he had signed in his hand by “Herr Hitler” guaranteed: “Peace in our time”. One could see Mr. O’Reilly being used successfully as a puppet of the Obama Administration. This technique is called throwing your opponent a bone. It will make O’Reilly, the highest watched cable news program, to put it bluntly, soft on the administration. The Super Bowl interview was a presidential “Wine and Dine” to get to O’Reilly’s larger than life ego. 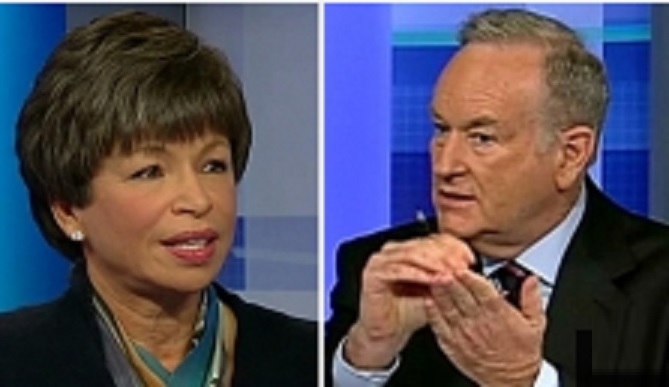 When all is said and done, O’Reilly came off looking like a “tool” of Valerie Jarrett, and reminded those of us who have studied history; of the same fool who returned from Munich waving a piece of paper. One would think that Mr. O’Reilly would recognize the road to hell. In this case, having Valerie Jarrett on Fox news was like the Wolf in Grand-mamas’ night gown. O’Reilly’s intentions were good. But how can someone with O’Reilly’s ratings be hoodwinked by an Administration that sent Susan Rice out to look the American public in the eye and say Benghazi was all about a YouTube video? For that matter, even the POTUS who appeared in front of the United Nations continued the same lie. The answer to O’Reilly’s gloating can be summed up in one word. HUBRIS. Bill, don’t let the chill go up your leg. You’ve been around long enough to know when you’re making a difference and when you’re being used.